I was, until a few months ago extremely lucky in that I had people come to my doorstep to collect my recyclables. No big deal you may think but I live on the 13th floor in a block of flats. I just had to leave my paper, glass and plastic outside my front door and some little lovely elf would come collect it and leave behind the bags I needed to use for the next 2 weeks collection. That all changed at the end of February. well that didn't quite happen. I sent them the picture on the left and asked if this was what they thought was an effective way to recycle. 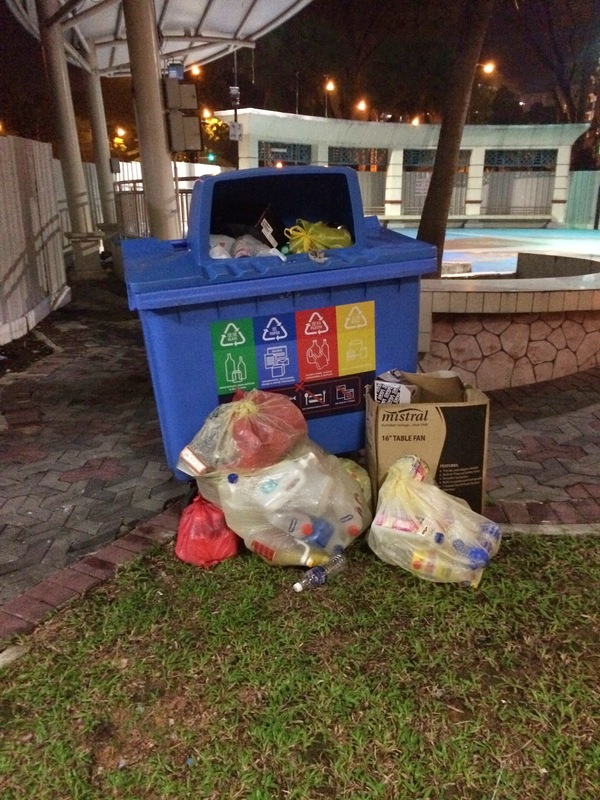 To their credit they rectified part of the problem by placing 2 bins, on another side of the lift lobby but they couldn't put a bin for each category of recyclable. I was told to put the items in a plastic bag and then place that bag into the recycling bin.